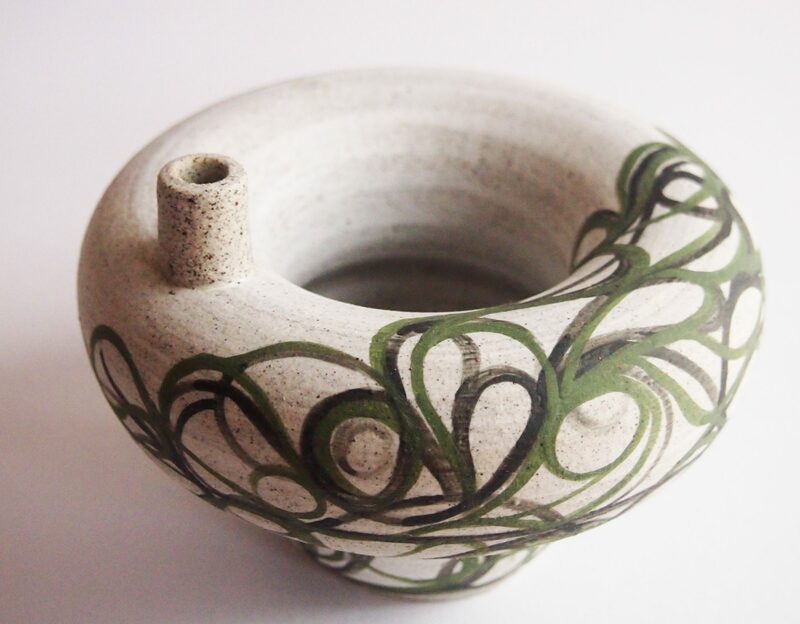 My vision for this collection of organic, spouting and circular vessels was to imbue the flower. with a flourish of colour, form, line and texture in a magical display. The beauty of each flower, given space to bloom. Taking cues from the flowers themselves, in particular green, as a healing colour. This body of work also signifies my flourishing as an emerging artist in the contemporary ceramics scene. My vessels are all wheel thrown and assembled into there contemporary sculptural forms, using traditional techniques which adds integrity to the work. The addition of delicate porcelain to the warmth of stoneware creates a strong visual contrast. Flowers are a constant and reoccurring theme in my work from childhood.